It is very reliable and comfortable even on long drives. 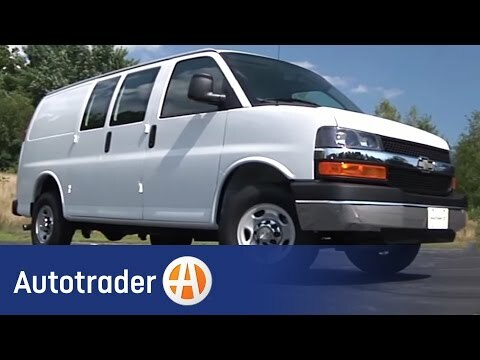 We have had the Chevy express van for 11 years now and have not had any problems with it. It holds 15 people and when we didn't need all of the seats, it has worked great for moving large items or larger shopping trips by taking out the back seat. It has heating/ air conditioning vents at each bench to keep everyone comfortable. There are speakers in the front of the van as well as the back but none along the sides, so the people in the middle of the van aren't always able to hear the radio or cd that is being played. Our Chevy van runs well caring our required load and it has quite a comfortable ride. The only problem or complaint deals with the paint adhesion failure that we have experienced the last couple of years. The paint has started stripping off in sheets leaving the gray primer surface below the top-coat. The cost of having our van repainted is pretty high, but we must do something to protect the body. The engine is running well and we would like to continue to use the vehicle. it goes and goes, very mechanically sound. I have no worries about it making it where it needs to go. 240,000 miles, still going strong, minor mechanical issues over the years. Some cosmetic issues like side window that rattles and does not close properly, glove box came off, rear door lining came off, side door gets off track sometimes.